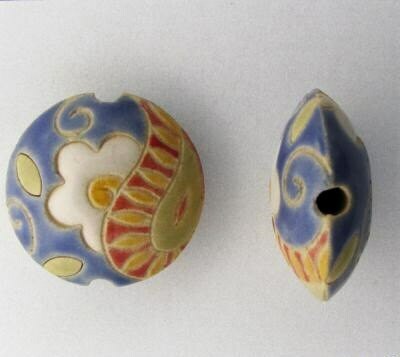 Daisy Paisley are beautifully handcrafted ceramic lentil beads made in Bulgaria. The picture shows both sides of the lentil and the side view. 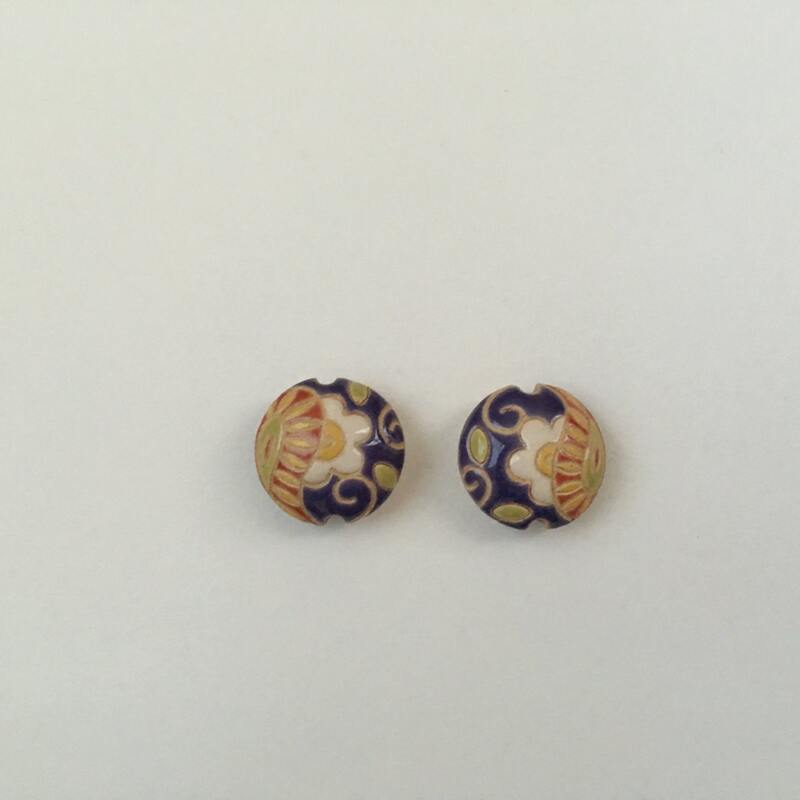 My golden Genuine Freshwater Pearls matched your enameled bead perfectly!